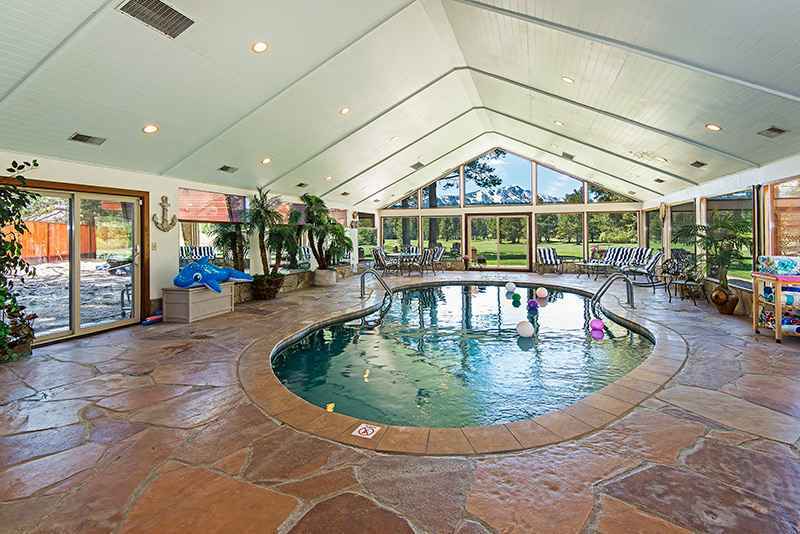 7 bedroom spacious Golf Course Estate on a large private lot with huge Indoor Pool. 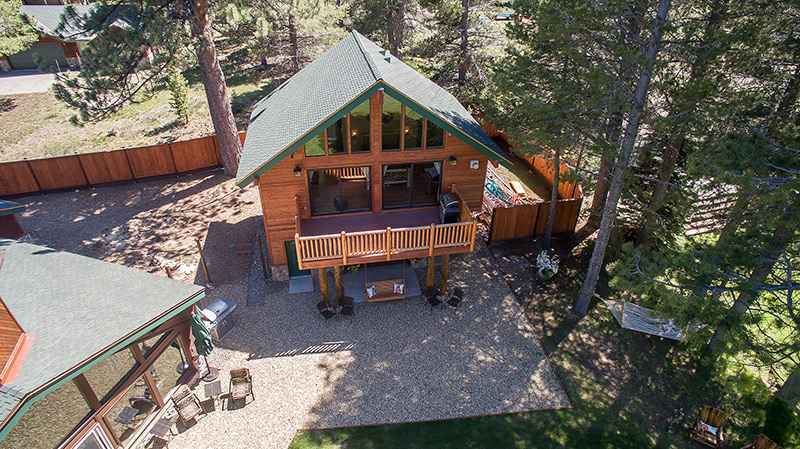 Just completed detached guest house next to main house. 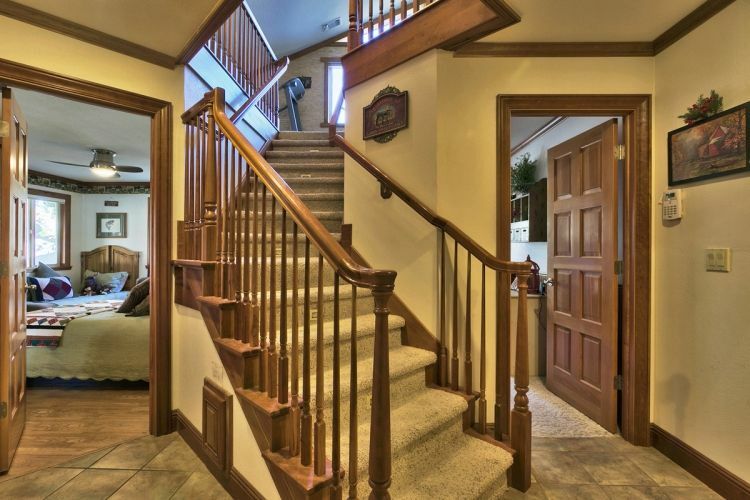 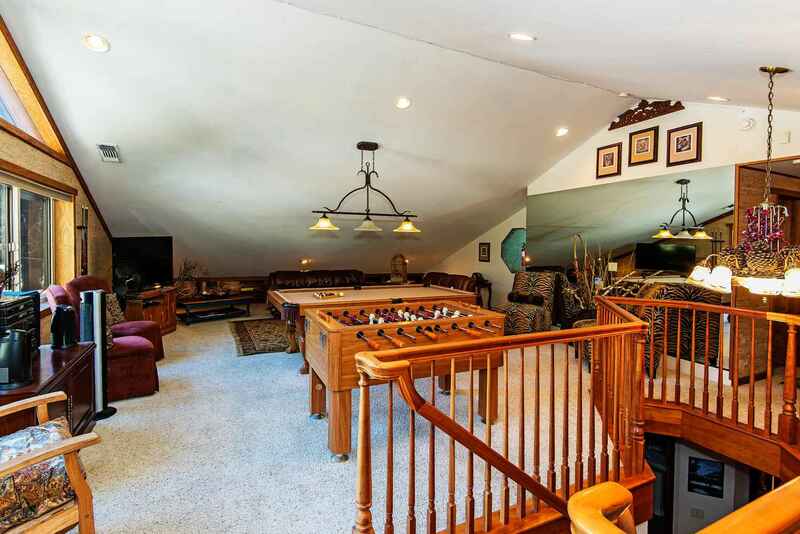 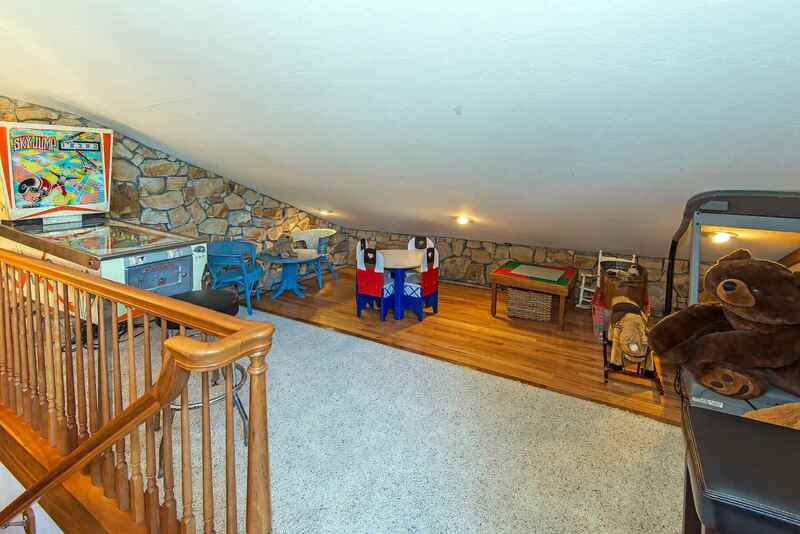 Expansive home has amenities from head to toe to entertain everyone. 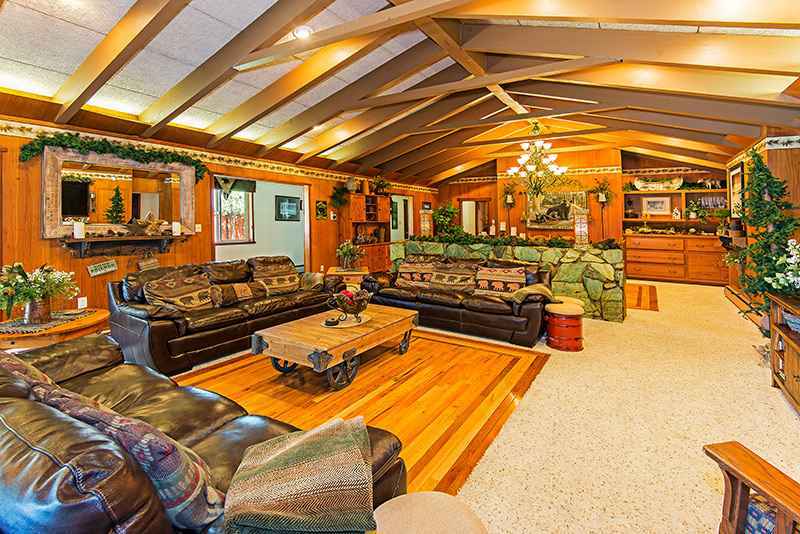 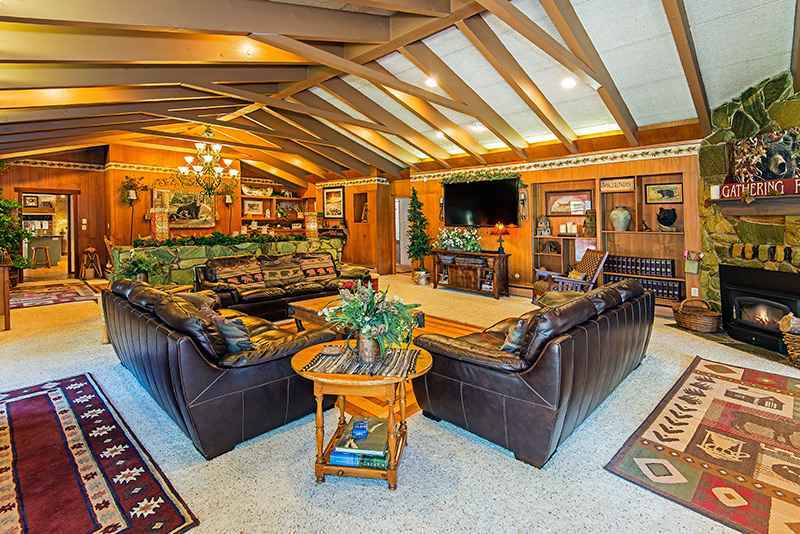 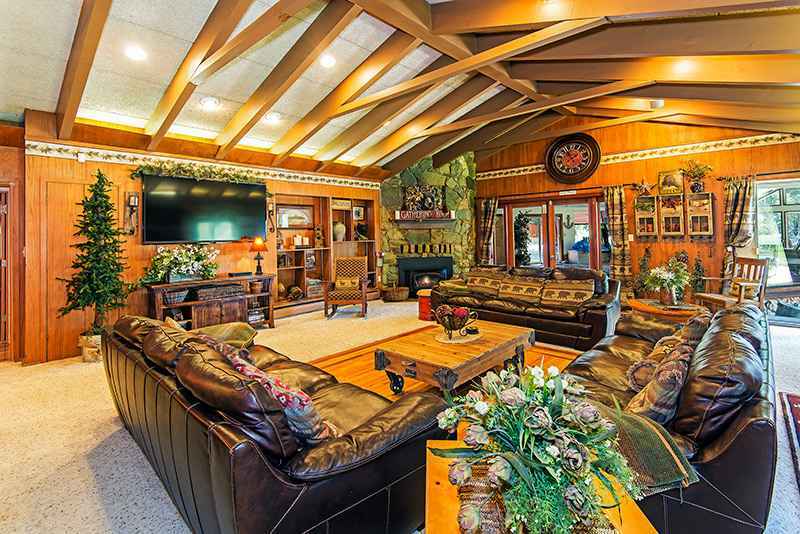 Large living room with comfortable couches, oversized club chairs in front of the enormous 70' inch Flat Screen HDTV. 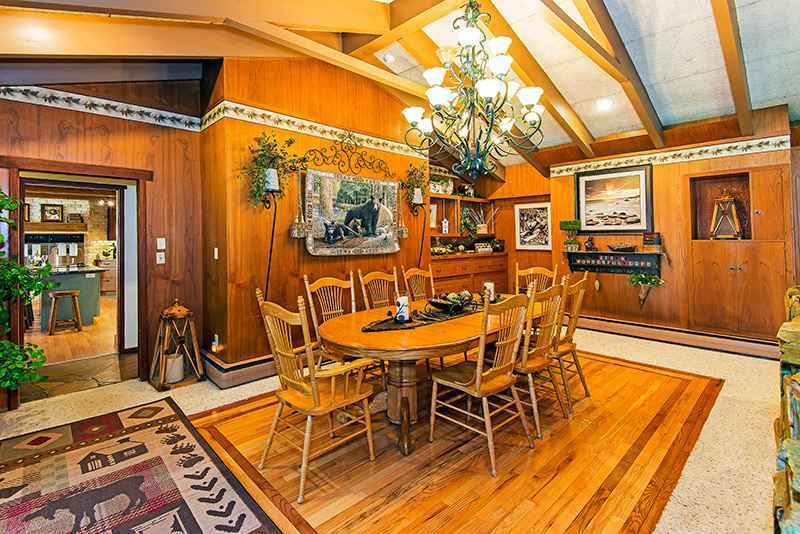 Dining room next to the living room creates the open floor environment where all friends and family can socialize. 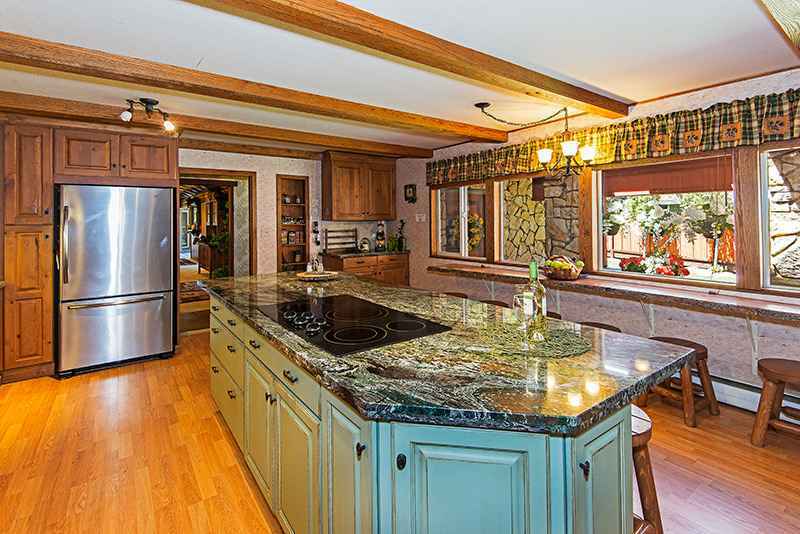 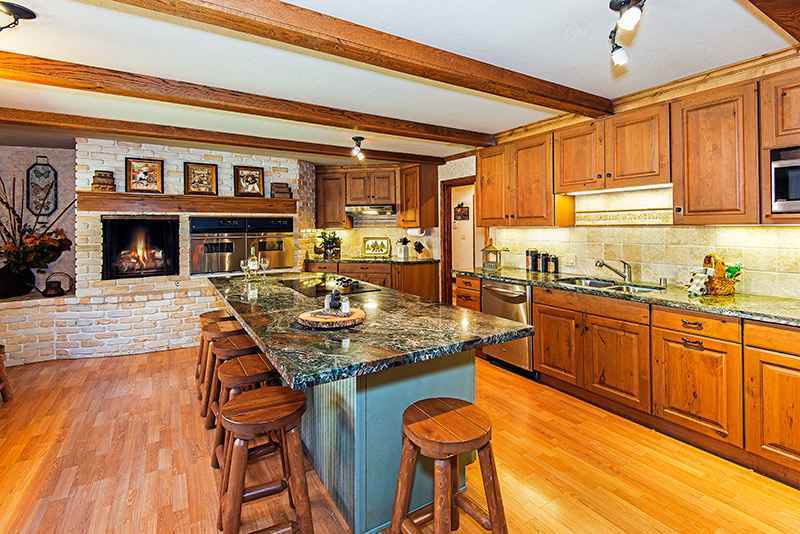 Newly remodeled kitchen with high end appliances, granite throughout, new wood cabinets. 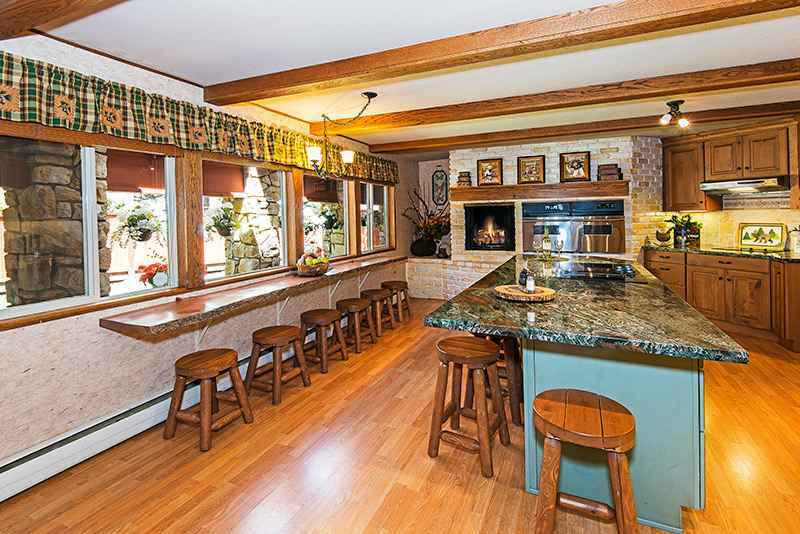 Bar stools around large kitchen island and breakfast nook table allows for large dining parties. 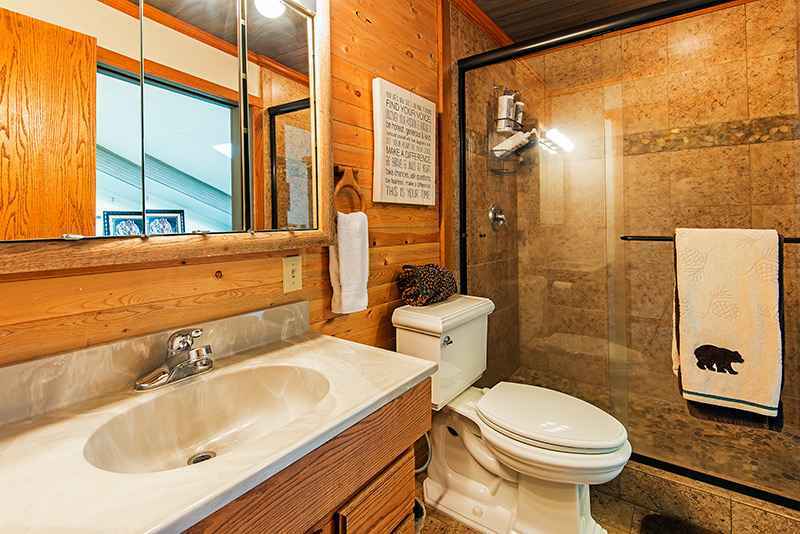 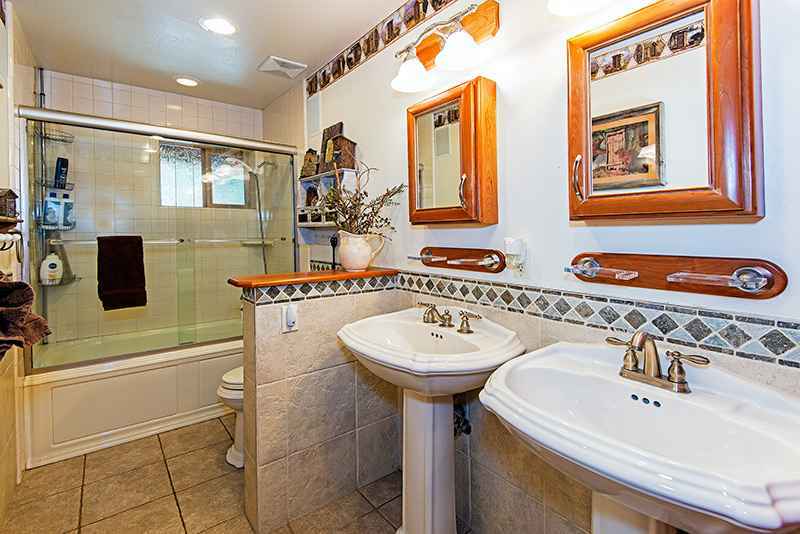 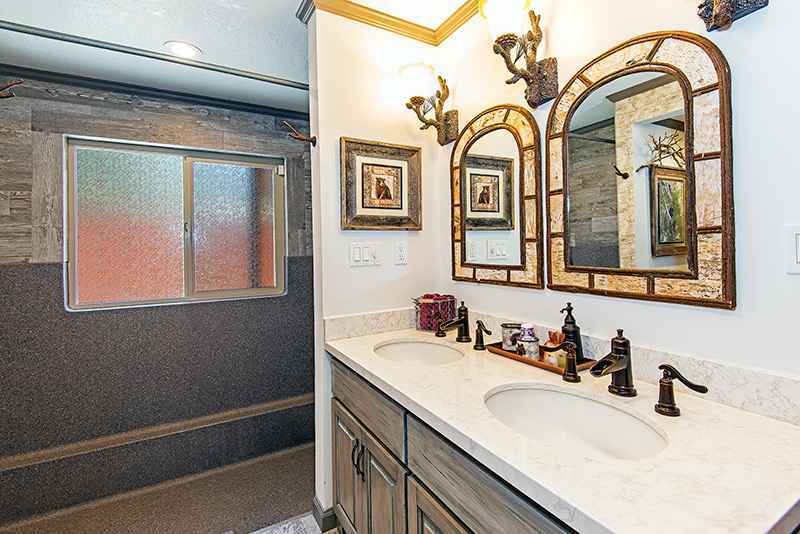 Newly remodeled Master bath with top of the line everything. 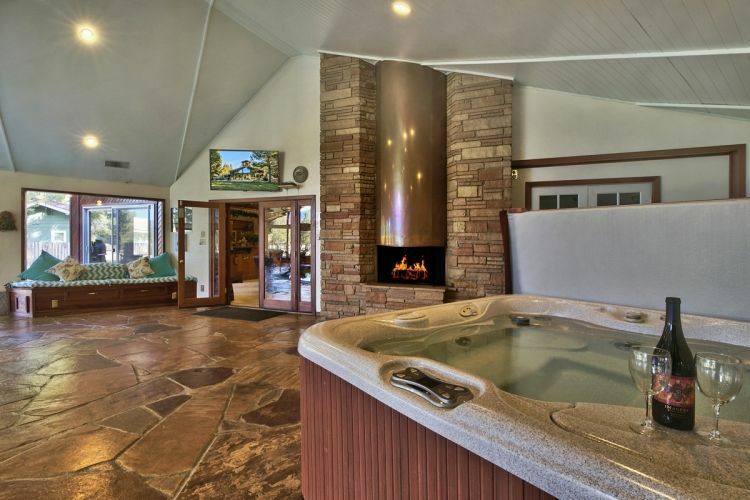 Pool room is set off the main living room and boasts patio furniture, large hot tub set in front of Fireplace with 15 feet of rock from floor to ceiling surrounding the Fireplace. 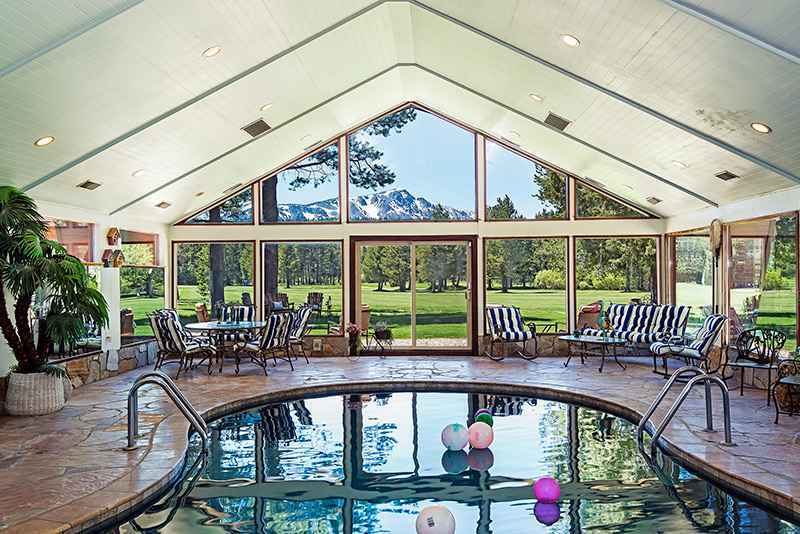 54'inch Large Flat Screen HDTV in pool room allows for viewing from all areas of the pool room. 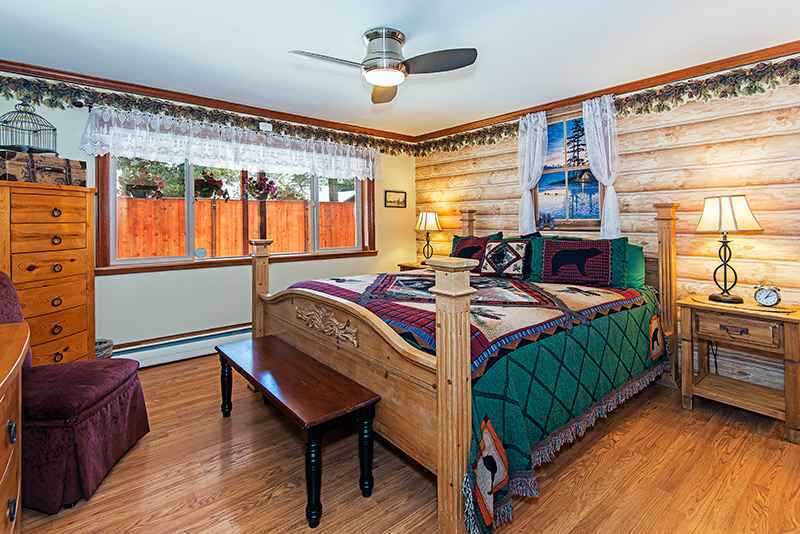 Bedroom areas are spread out so that privacy can be easily accomplished whenever you want it. 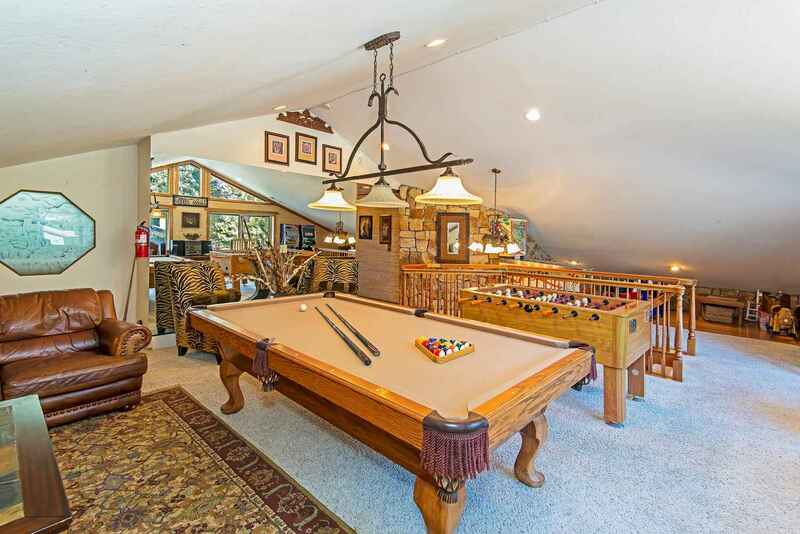 Top floor Game room has a regulation sized Pool table, 54'inch Flat screen set next to comfortable couches. 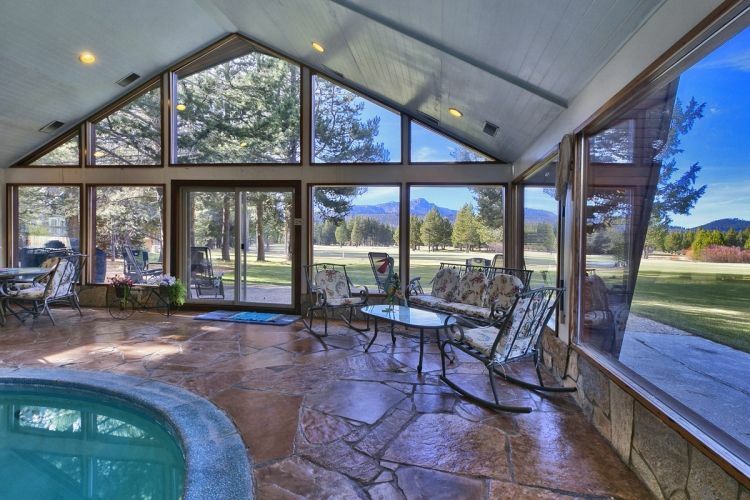 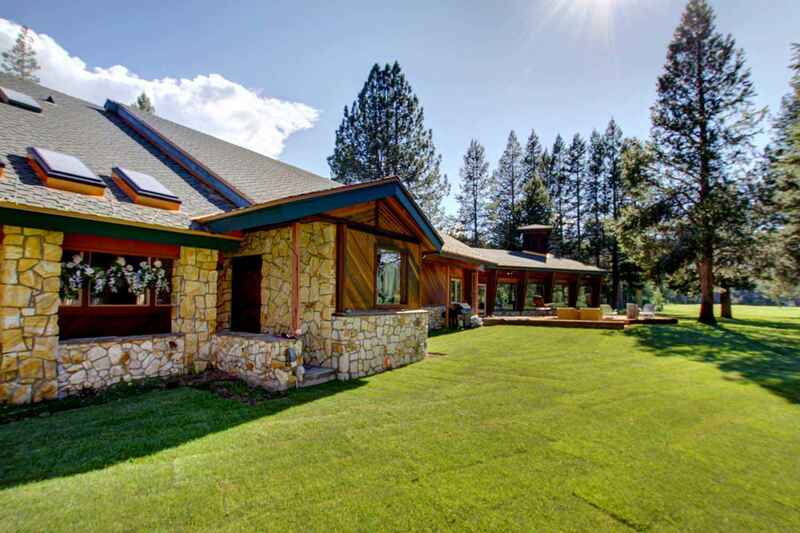 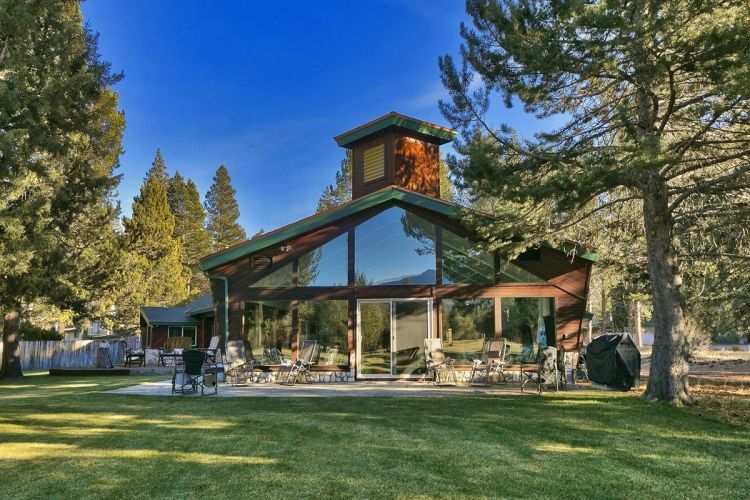 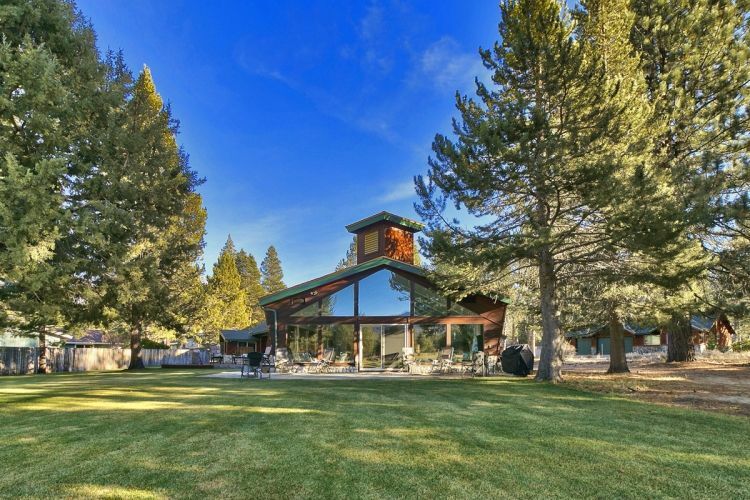 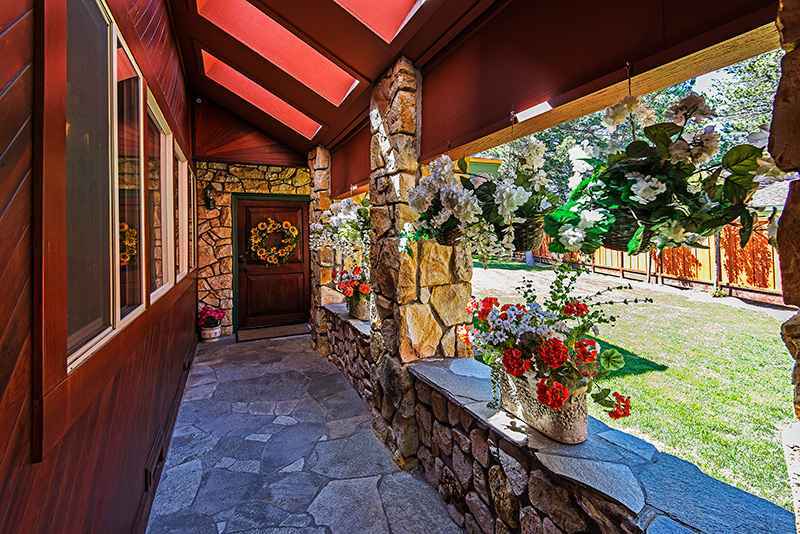 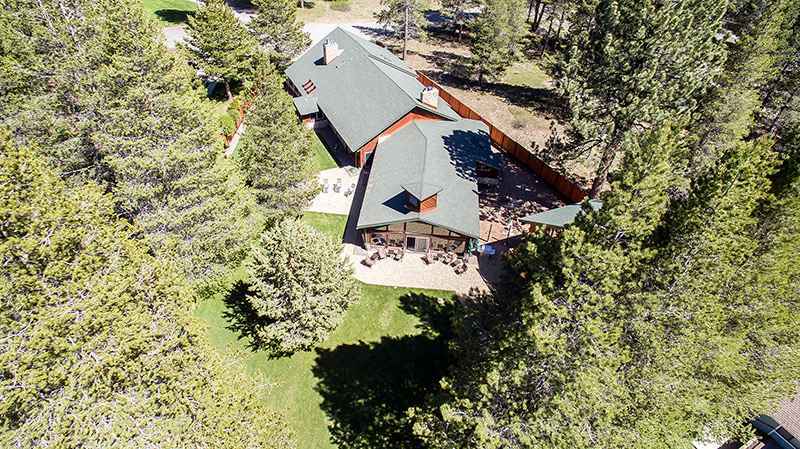 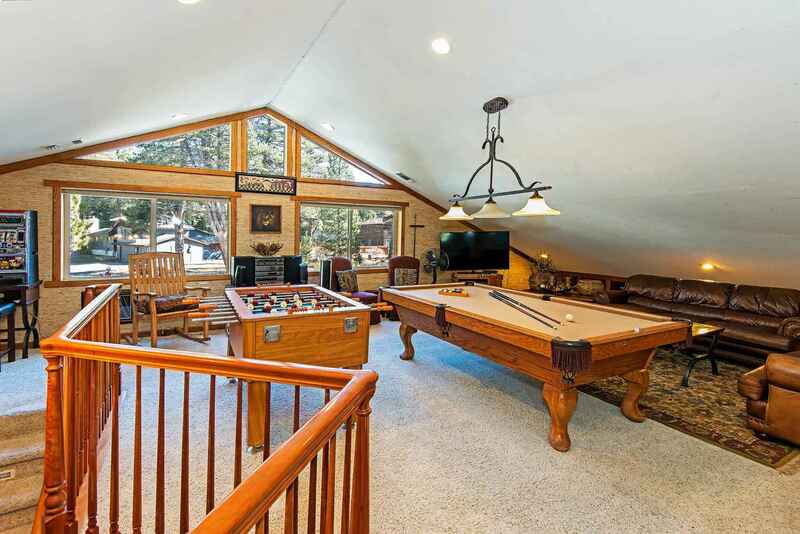 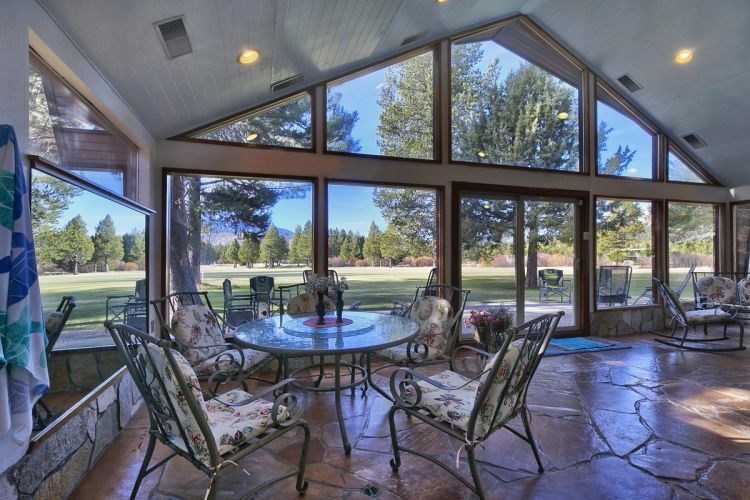 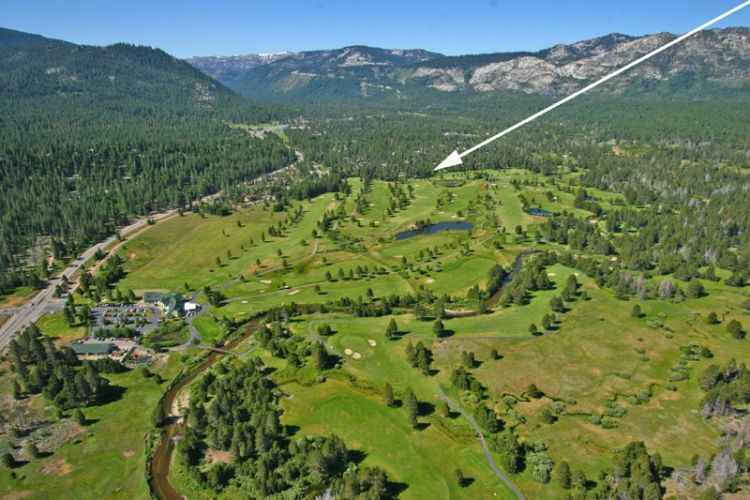 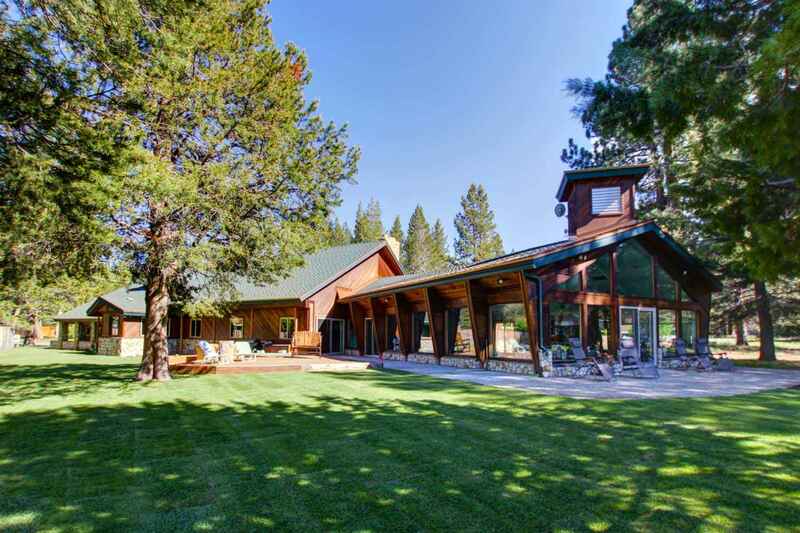 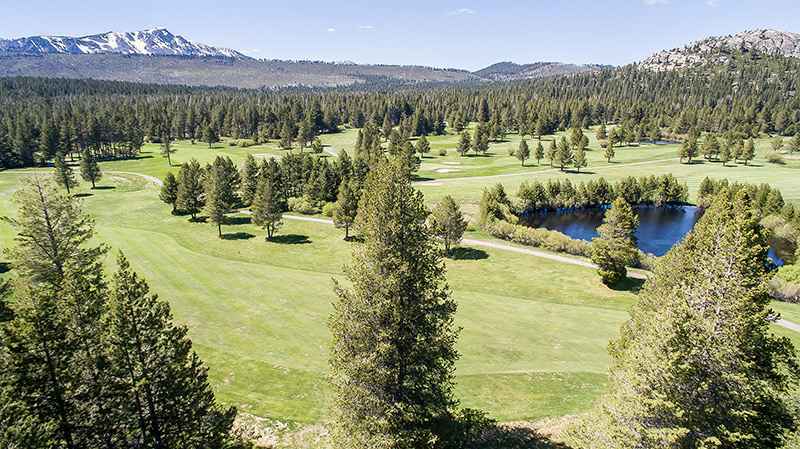 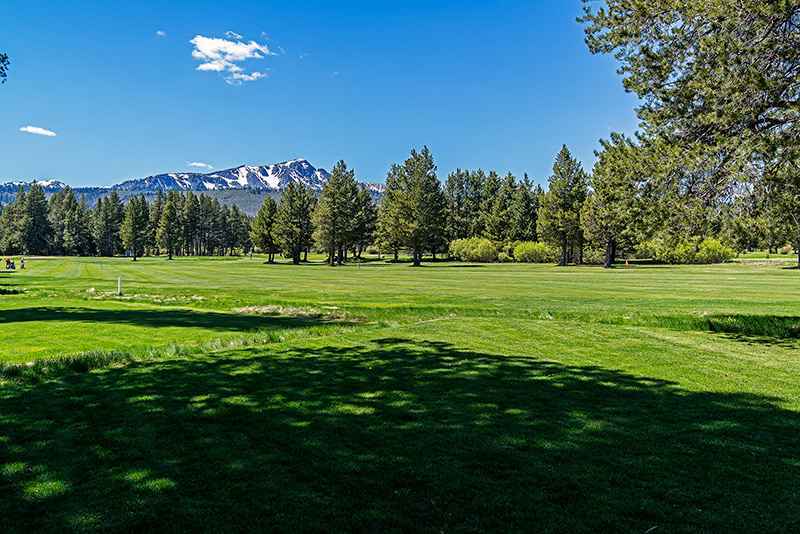 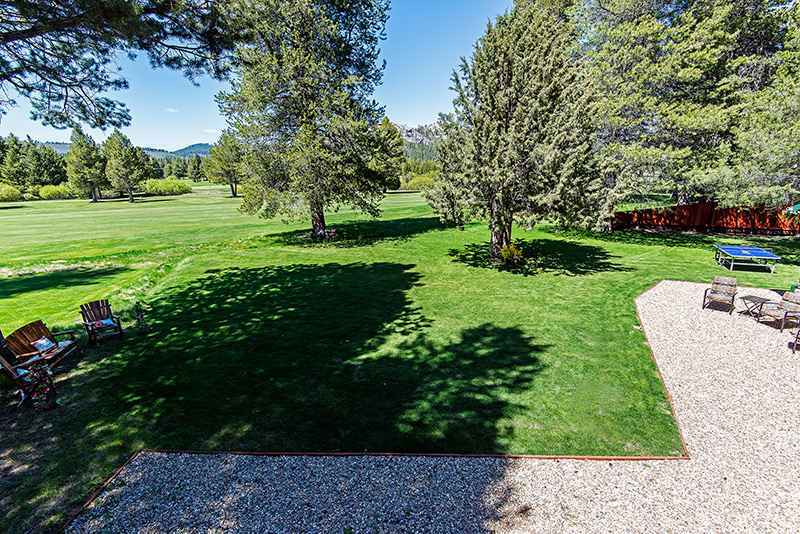 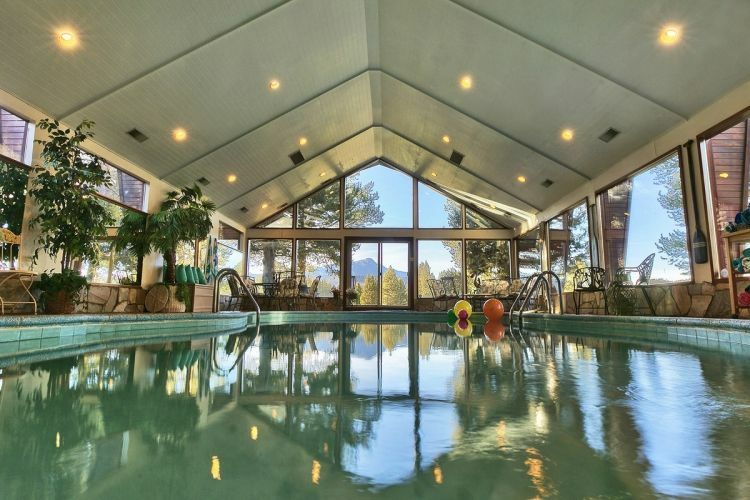 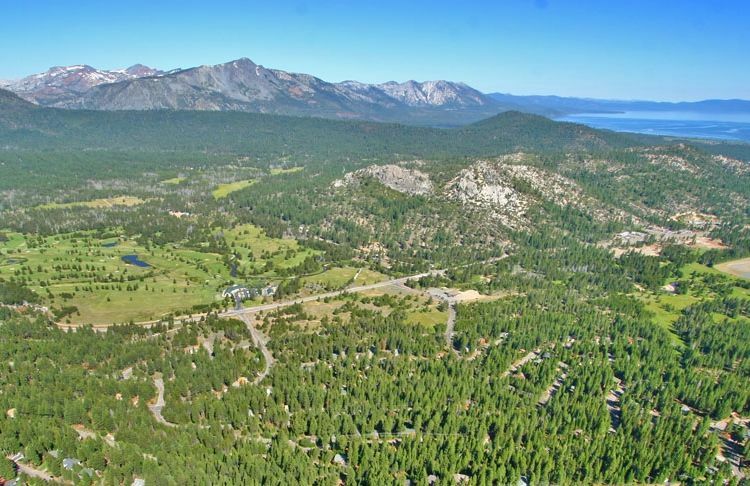 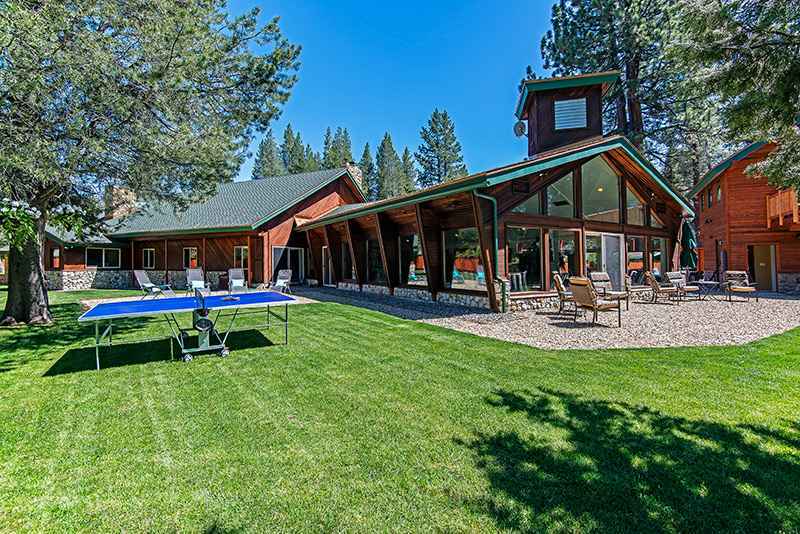 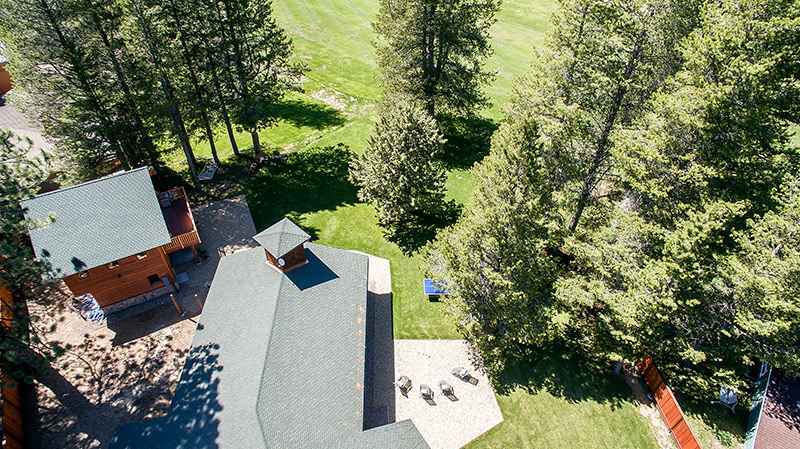 Outside deck areas allow for the epitome of relaxation as you are located on the Fairway of the Lake Tahoe Golf Course and have stunning views of the snowcapped mountains above the Fairways. 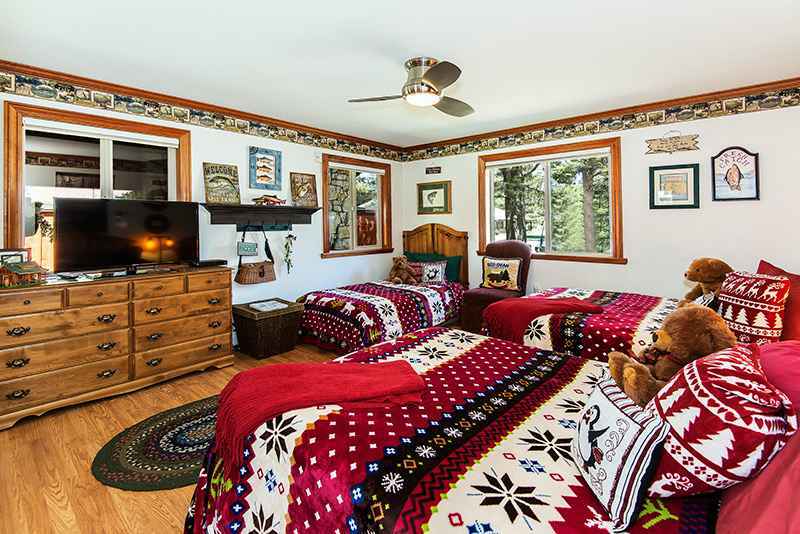 New separate guest house has top of the line everything. 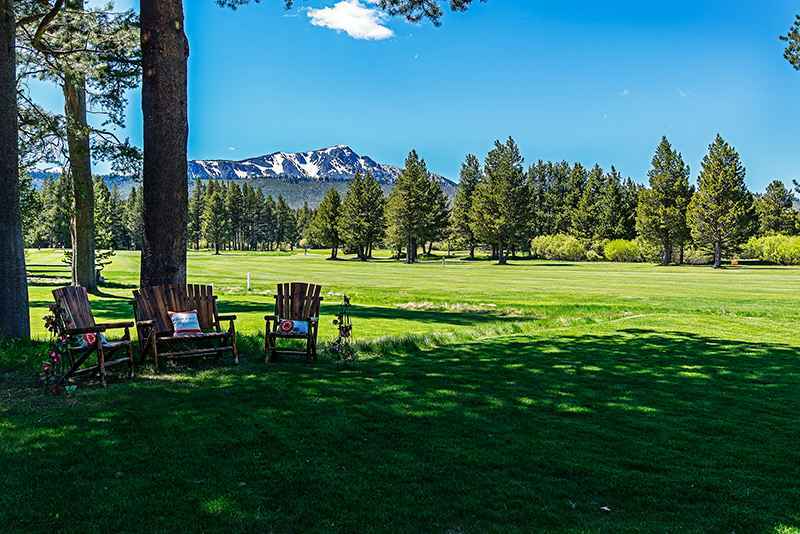 King bed with Fireplace, TV, large deck with incredible views of snowcapped mountains stretched above the green fairways. 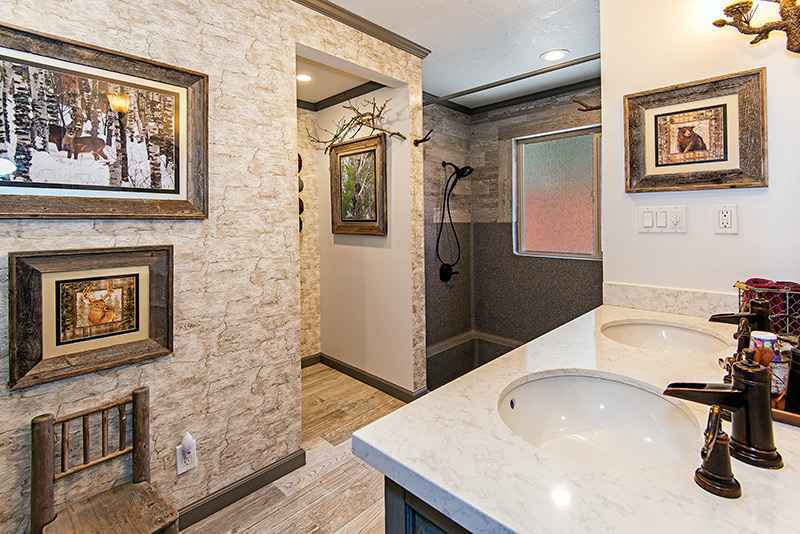 Stunning bath with high end granite and fixtures. 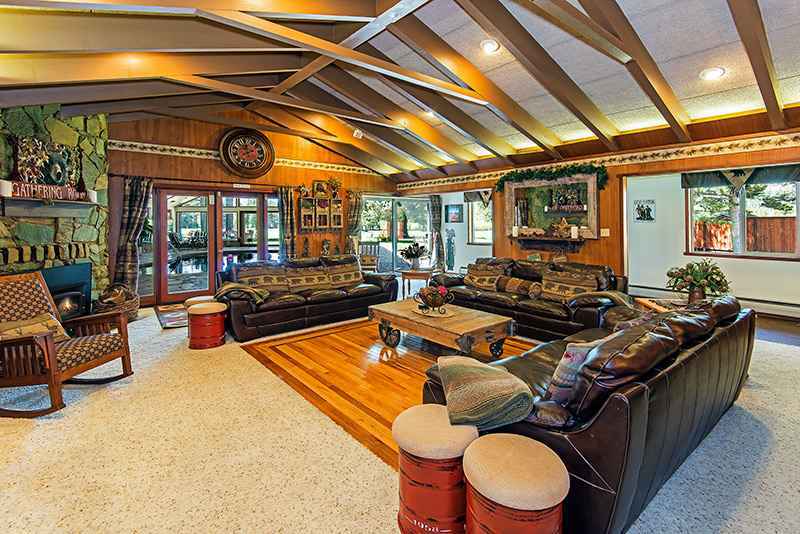 XMAS - 4 night min at $1,800/night and $11,000 per week. 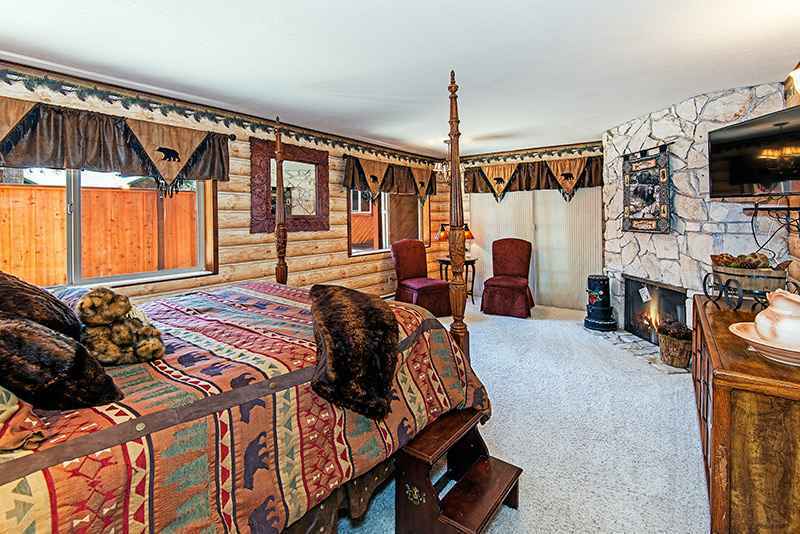 To see rate breakdown, CLICK on your dates on the calendar, CLICK "Book Dates Now"
Holiday rates apply during all holiday times. 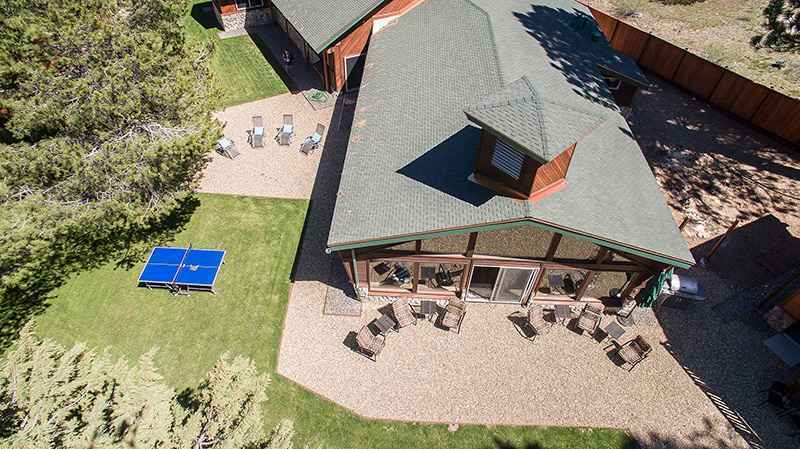 PETS: Strict NO PET Policy for this property.